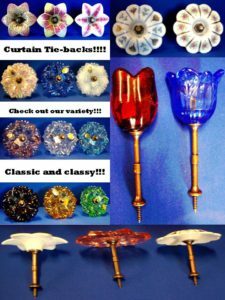 We just obtained a large collection of curtain tiebacks- perfect for decorating your home! The variety has to be seen to be appreciated and have a dozen of each style! Come early if you want a bunch!! !